VATICAN CITY (CNS) — Pope Francis met with the current and former presidents of Colombia, two leading figures in the country at opposite sides of a controversial peace agreement that puts an end to a decades-long civil war. “In this regard, the parties highlighted the importance of encounter and unity between the Colombian political parties and the commitment of FARC while the local church will be able to offer her contribution in favor of national reconciliation and education in forgiveness and harmony,” the Vatican said. Although recognized for his efforts with this year’s Nobel Peace Prize, Santos has faced staunch criticism for his concessions to FARC during the peace process. 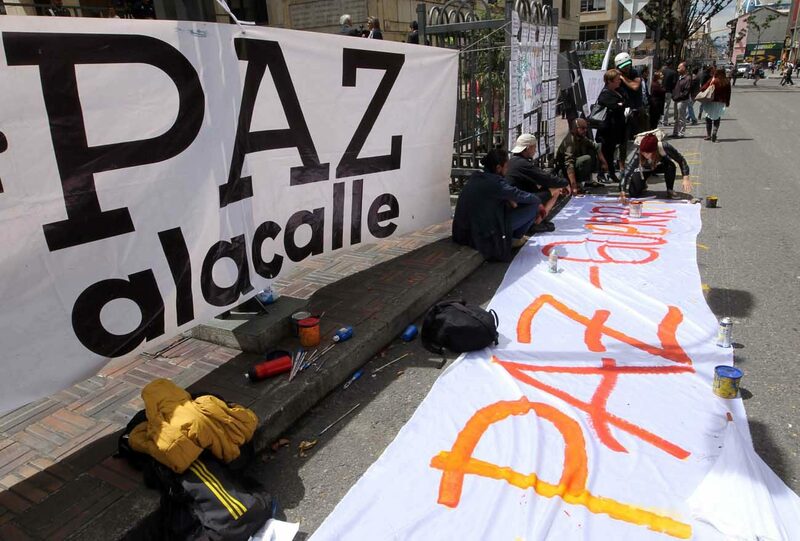 A revised peace deal was signed Nov. 24 between the government and FARC. However, the agreement was not put to a vote, but was sent to Congress for approval. The House of Representatives, where the president’s governing coalition holds a majority, approved the plan Nov. 30. Uribe, who now serves as a senator, was among the president’s strongest opponents of the deal and successfully led the “No” campaign leading up to the Oct. 2 referendum. “The pope spoke about the ‘culture of encounter’ and emphasized the importance of sincere dialogue between all members of Colombian society at this historical moment,” the Vatican said. He also denied several news reports that said the Vatican hastily arranged Uribe’s visit and paid for a chartered flight to Rome. “Once he realized that it was possible to have both together, the pope took advantage of the situation. When he sees the possibility of contributing toward peace, he takes advantage of it,” Burke said. “I have said that when the peace process in Colombia — if it succeeds — I would like to go when everything is ‘airtight,'” the pope told journalists Oct. 2 on his return flight to Rome from Azerbaijan, several hours before the voters rejected the first peace agreement. “It all depends on that. And the peace process will be resolved today, in part, with the people’s voice: It is sovereign. What the people say, I believe, must be done,” the pope said.